Keep the faith. While you won't see it supported for early access, I will do everything I can to make sure we see Linux supported for the final release. So if you do want to see it officially supported on Linux, it might be worth letting them know if you haven't already. Obviously, that's only if you would actually pick up a copy, saying you want it with no intention of picking up a copy helps no one. In Gloomhaven, you play as a team of mercenaries on their own personal quests to go conquer a world of gloomy and wicked decadence. Choose your group members wisely, because in the turmoil of battle you can only rely on your wits, skills and spells to fight your way through the putrid dungeons and forgotten ruins. 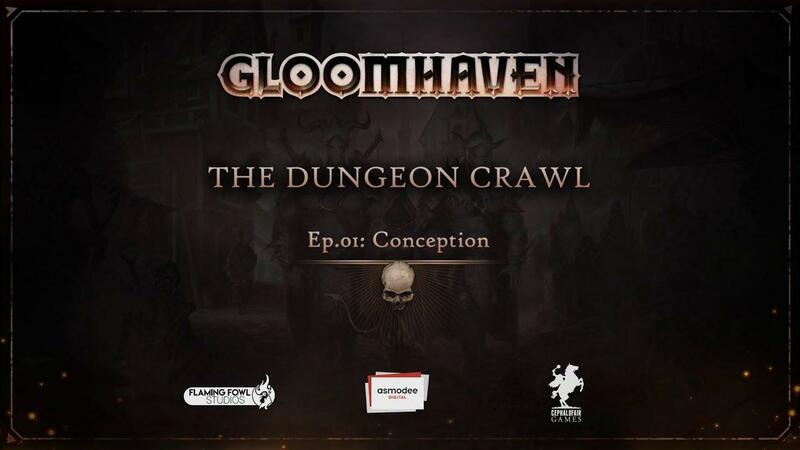 In this rogue-like dungeon-crawling adaptation of the famous board game, you will journey through terrifying randomly generated dungeons, fight against increasingly horrific and powerful foes…or die trying. I shall continue to keep an eye on it, to see if they do deliver on a Linux version once it's finished. It looks like a dungeon-crawler for movement (in the Steam video, the linked YouTube video, not so much) that then shifts to a third-person/isometric view for combat? Is that what we're looking at? I'm liking the art style and the new races, i.e. not all focussed on the usual elves, dwarves, orcs. At this early stage, hard to see how the game will play. From it being based on a board game and hexagonal floor tiles, I'd say it'll be turn-based, and probably not too different from Warhammer Quest, Chaos Reborn, Tales from Candlekeep. Nanobang It looks like a dungeon-crawler for movement (in the Steam video, the linked YouTube video, not so much) that then shifts to a third-person/isometric view for combat? Is that what we're looking at? Unless they've made a dramatic shift from the board game, I expect those views were only for the trailer and maybe a cinematic component. The dungeon-crawling part of gameplay in the original game has your party explore a series of room without exiting combat mode (i.e. your spells don't refresh after each room and you never just 'move on' to the next fight; the action economy is always on until the dungeon is completed). I would expect the hex board and isometric view to remain on at all times during dungeons. @Salvatos Sounds a lot like Shadows of Brimstone. If so, that's awesome. I'm familiar with the boardgame, this looks great!! A colleague of mine at work has been telling me how great the board game is. I probably won't get the people together to ever regularily play it (and since I already have three pen & paper roleplaying groups + one irregular Legends of Andor group, I'm not exactly "always free" either), so I'm looking forward to this adapation. Nice overview. I have played Gloomhaven the board game for about a year now, generally once a month. Yes, it's still the same campaign. My friends and I love it. It might be our #1 board game (out of about 200 that my friend has). Anyway, thanks for the great overview because now I won't feel guilt for not writing one. EDIT: Now that I've actually watched the video, I must say that it looks really promising! I love the graphics and art style. I will almost certainly buy a Linux release because I sort of want the board game, but I also kind of don't since it's quite a bit to set up and I have little kids and my friend already has it. So, a computer version would be incredibly convenient.